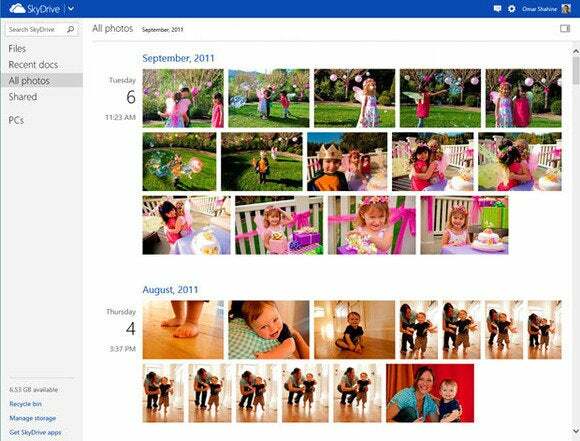 Microsoft is rolling out changes to SkyDrive to enhance management of photos in the cloud storage service, including more efficient viewing and uploading of files. The improvements include a new “all photos” view that displays thumbnails of all the pictures, organized in a monthly timeline grid. Microsoft also tweaked both the SkyDrive desktop app and its server counterpart to increase upload speeds, achieving a 2X to 3X improvement, according to the company. In addition, Microsoft said it has improved “the readability” of files and folders stored in the service, remaking the thumbnail format for PowerPoint and Word files to make it easier to identify and find them. Photos are the most common files stored in SkyDrive “both in sheer number and in total storage consumed,” Omar Shahine, group program manager of SkyDrive.com, wrote in a blog post on Monday. 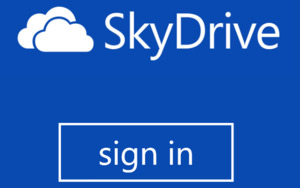 It will take about 48 hours for the changes to be applied to all SkyDrive accounts. SkyDrive rival Dropbox has also been testing new photo storage, sharing and management features, including the ability to organize photos in albums and to share more than one photo or a folder at a time. Google Drive, another SkyDrive competitor, also has specific features for managing photo files.